Social insect colonies exhibit highly coordinated responses to ecological challenges by acquiring information that is disseminated throughout the colony. Some responses are coordinated directly from the signals produced by individuals that acquired the information. Other responses may require information to be transferred indirectly through a third party, thereby requiring colony-wide retention of information. 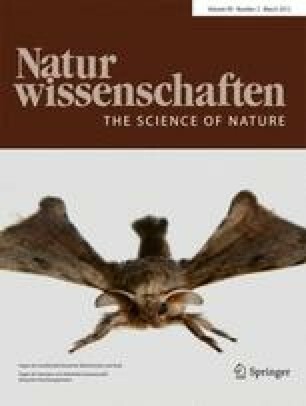 Social insects use colony signature odours to distinguish between nestmates and non-nestmates, and the level of aggression between non-nestmates typically varies according to the distance between colonies and thus their history of interactions. Such coordinated, colony-specific responses may require information about particular odours to be disseminated and retained across the colony. Our field experiments with weaver ants reveal colony-wide, indirect acquisition and retention of the signature odours of a different colony with which they had experienced aggression. These data highlight the significance of interaction history and suggest the presence of a collective memory. We thank Ellen Schlüens, Helge Schlüens, Ross Crozier and Simon Robson for hospitality at James Cook University; Jason Ratcliffe for help with fieldwork; Therésa Jones, David Macmillan and Matthew Symonds for advice, and the Australian Research Council (DP0879610) for financial support.